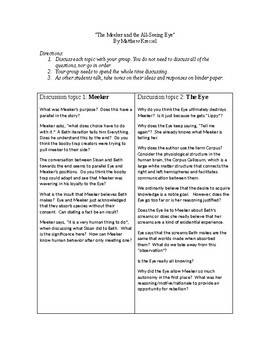 After reading "The Meeker and the All-Seeing Eye" (available online) the students will have four rounds of discussion. 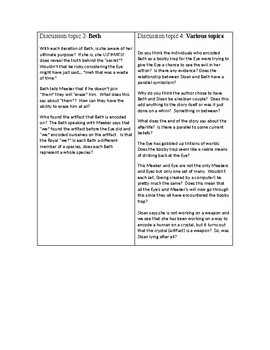 There are questions based on Meeker, The Eye, Beth and Other. For each group of questions they will have time to write and think about the questions before discussing with their group.